I was pleasantly surprised when my order arrived. 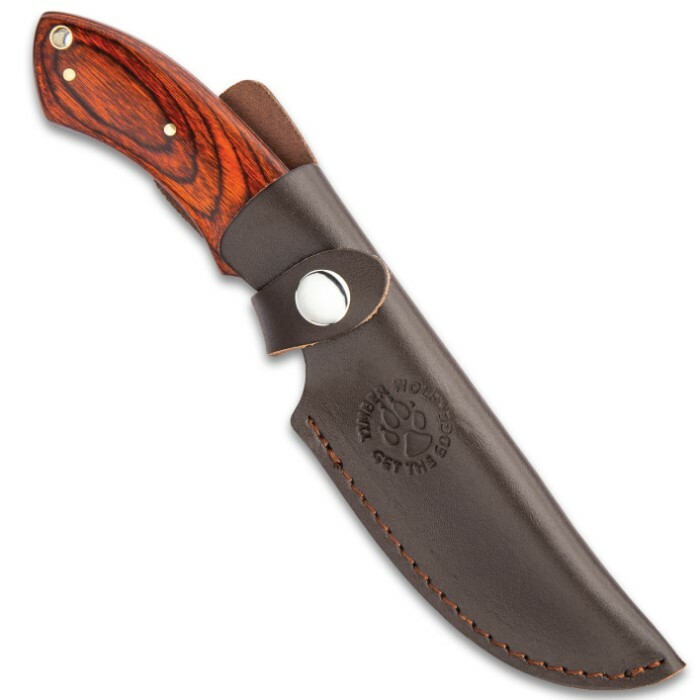 I bought 2 of these to resell on my custom, hand made knife displays. Each knife was flawless and each leather sheath was also flawless. I have no complaints at all. They came razor sharp and ready to roll. Blade has some heft for its size and is pretty classy. Someone mentioned it comes razor sharp. I can attest that it true. lol. It is beautiful. Pleasantly surprised for price. These knives look great and perform well but, the steel is very brittle. The blade will snap with a small amount of concussive force. I bought this knife for my dad as a Christmas present. Came razor sharp, and lightly oiled. Got it engraved and that turned out to good too. The belt loop on the sheath could stand to be a little more snug but i still plan to buy another for myself. All things considered for a knife this great 20 bucks is a steal. 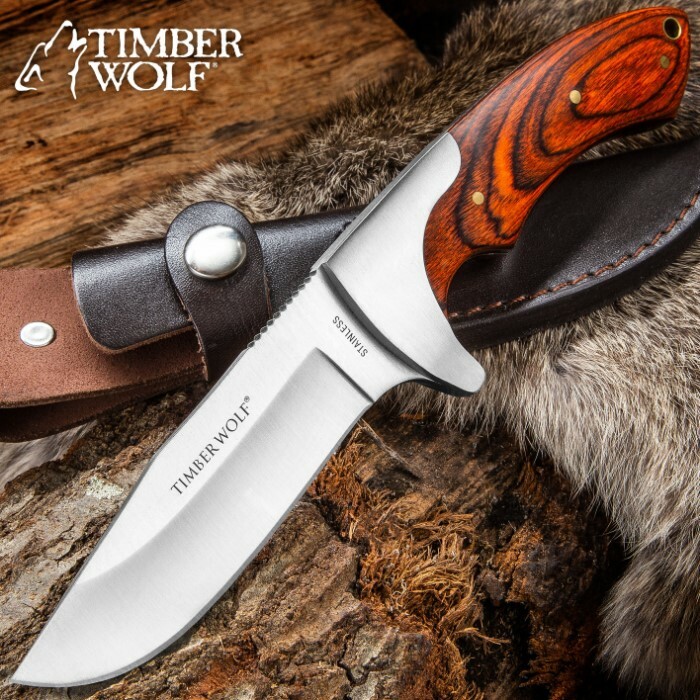 Love This Knife and the Sheath is totally perfect for my needs. Thinking about making all my sheaths in this style. 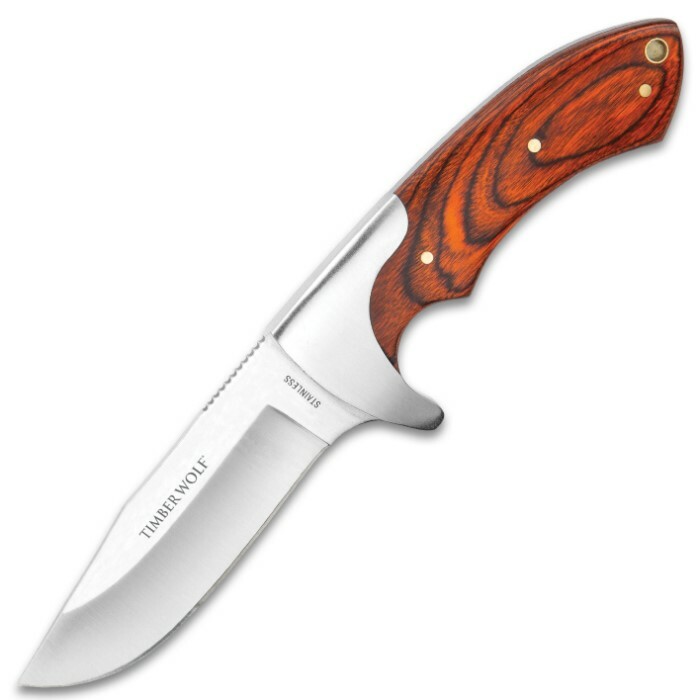 I totally love this knife and I wear it everywhere I go. However, I'm more than disappointed in the sheath. The material it's made of is soft and the knife being handle heavy allows the knife when sheathed to move and slant forward. In order to keep the knife in place when sheathed I find that I must put the down end in my pocket. Wish it was made of heavy material around the area of the belt loop so the Knife will stay in place. I got these knives for my 2 little nephews cause they are in Cub Scouts. It fits their little hands perfectly! They now help me baton wood and make feather sticks for the campfire (gotta keep them young minds and body's busy somehow, and away from the electronics/internet/video games). 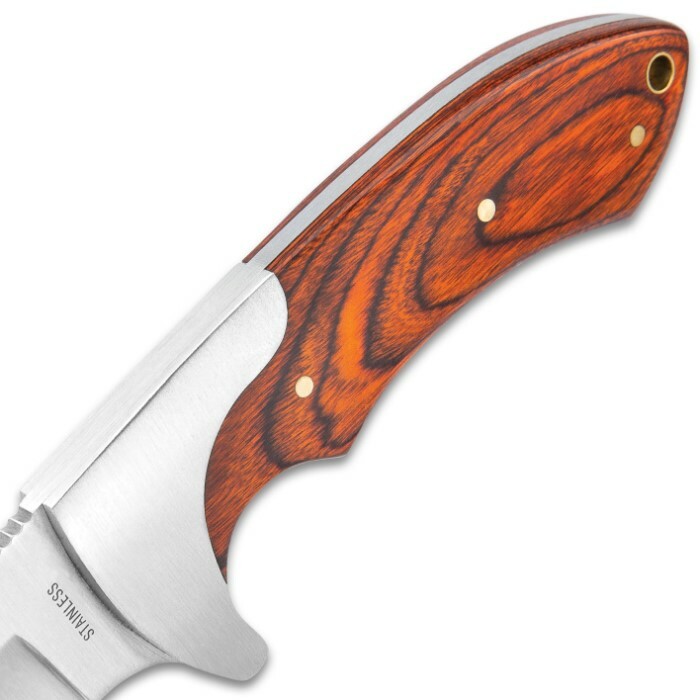 It is a beautiful knife at a bargain price. Just keep in mind that the handle length is short at about a 4-inch grip. When holding it as a Sabre grip it feels short, but at a reverse grip it feels perfect. The weight of this full tang kinfe perfect and well balanced. The more that I handle it, the more I like it even more!!! I have had this knife for a while now and I love it handle is a litttle small but not a big deal. My cousin liked it so much I ended comming home without it but just bought 2 more. Very well made and came sharp sheath is decent too cant go wrong for 20 bucks.